4 Bedroom Detached House For Sale in Stockport for Asking Price £325,000. 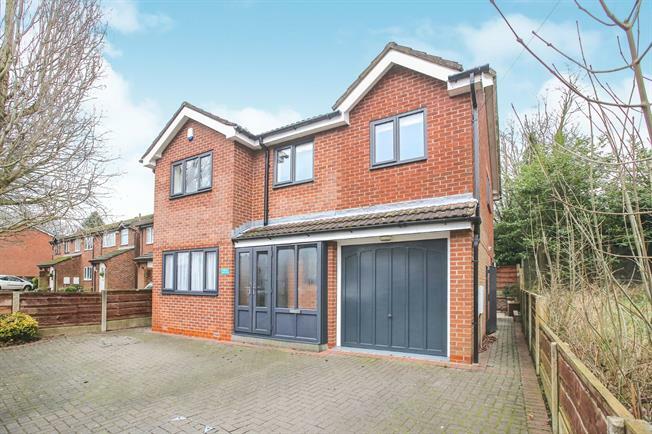 An immaculate four bedroom detached family home. This stunning ready to move into home is a credit to the current house proud owner. The home is being sold with no onward chain and would appeal to a family looking for a hassle free move. This home has two en suite bathrooms plus spacious family bathroom. There is a stunning open plan kitchen dining area and two reception rooms. There is also potential to convert the garage into further living space to create space for someone wanting to work from home or a children's games room. The home benefits from having off road parking and is located in a quiet cul de sac. A spacious family home with two en suite bathrooms off road parking and outstanding local schools within walking distance.